Depending on the space available, the Cubus range includes a number of solutions for your entry hall: wall panels with “retractable” folding hooks and concealed coat racks are only the beginning. Our Cubus Pure Hall range provides a beautifully natural welcome to your home, with hand sorted wooden fronts delicately framed by exquisite coloured glass. 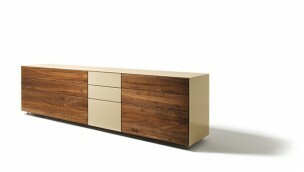 Thanks to a swivelling flap, the intelligent inside of the Lux Home Office Sideboard is completely visible. 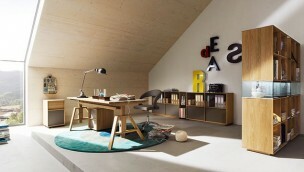 The flexible Cubus Desk can be extended by one or more add-on desks if required. The flexible atelier desk can be adjusted in height from 68 to 81cm to permit ergonomic use by everyone, regardless of their height. 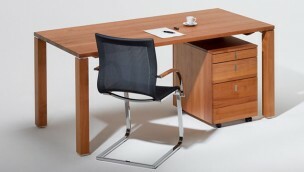 Closed, the Cubus Writing Desk looks just like an elegant sideboard. 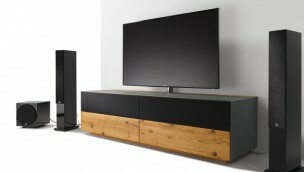 Cubus Home Entertainment brings the cinema experience to your living room and meets the acoustic requirements of those who appreciate good sound quality. 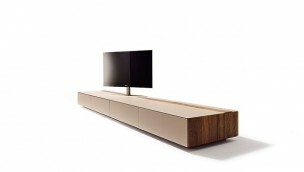 With the Lux TV Unit, TEAM 7 has created the perfect flexible media solution to meet the latest technological developments. 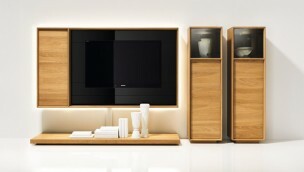 The Cubus TV Stand combines modern technology and elegant coloured glass with the warmth of sensuous natural wood. With elegant coloured glass surrounds, Cubus Pure Home Entertainment expertly showcases the beautiful natural wood fronts and ensures a special home cinema and audio experience in your own living room. 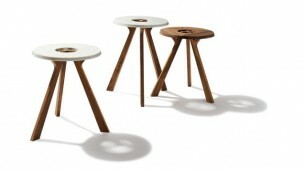 Some describe it as three narrow tree trunks that join together and with their branches support a crown made of natural wood or white marble; others simply call it an award-winning and extremely flexible side table. 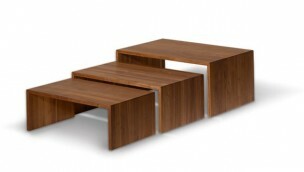 The innovative shape of the Sidekick Coffee Table playfully combines both design and practicality. 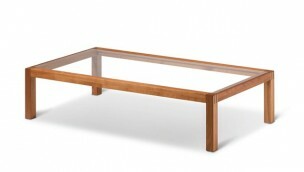 The Ponte Three-Piece Coffee Table comprises a set of three tables which can be compactly nested one inside the other. 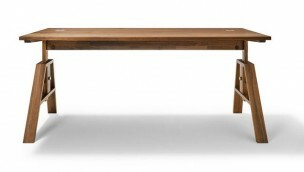 The Loft Coffee Table is a perfect match for its big brother, the Loft Dining Table. The full glass doors, individually styled LED lighting and the fascinating glass colour of palladium ensure a grand presence for the Lux Display Case. 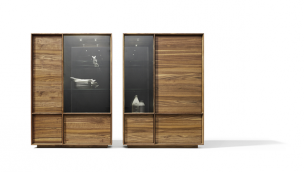 In the case of Cubus Pure, coloured glass areas surround the fronts and emphasise the high quality of the natural wood surfaces. 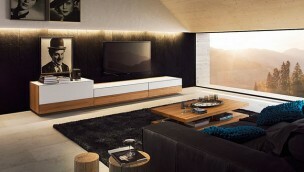 The fine glass edge and recessed plinth make for a light, floating visual appearance. 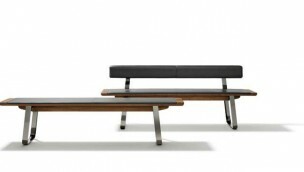 The Stretto Bench stands out on all sides: with its cleverly dimensioned seat and back, the stretto bench looks like a large chair designed to seat several people. 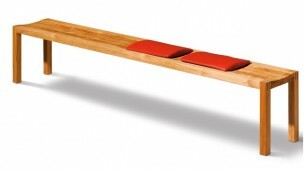 The slightly concave moulded seat of the Loft Bench is both exceedingly attractive and comfortable. 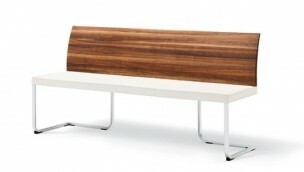 Lovingly crafted details, such as the traditional wooden connections, underscore the high quality of the Loft Bench. 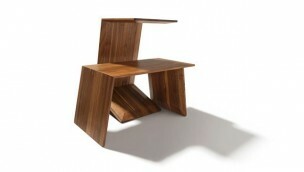 The intelligently designed Nox Bench allows you to take up a variety of positions. 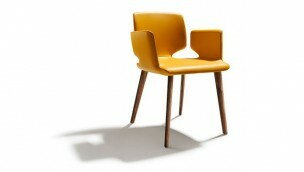 Awarded the Interior Innovation Award 2012, the new Aye chair is a perfect blend of beautiful forms and comfort. 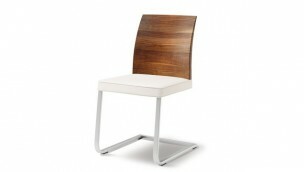 The Stretto Cantilever Chair is so comfortable that you will never want to get up again. 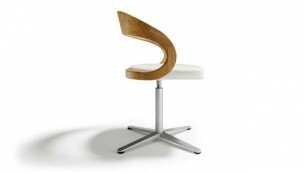 The three Girado Chairs – with star base, cantilever and swivel chair – all have a fascinatingly three-dimensional backrest of superbly smoothed natural wood. 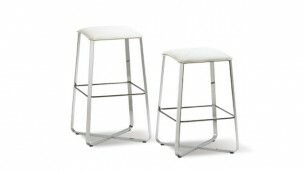 The Lux Bar Stool stands out thanks to its ‘moving’ seat concept and its design which is based on classic square and cross design elements.